This guide will help you install SJ Youtube step by step. Title – Allow to enter the title of this module. 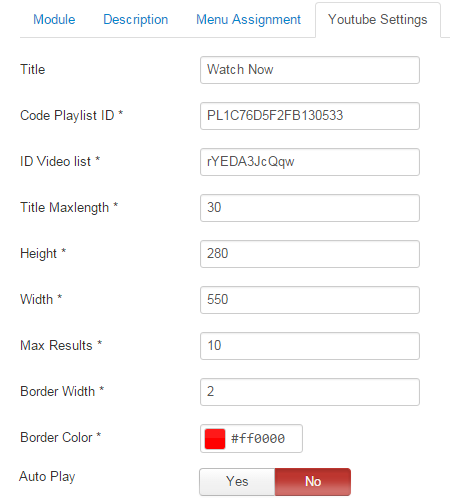 Code Playlist ID – The code playlist video of the youtube account. 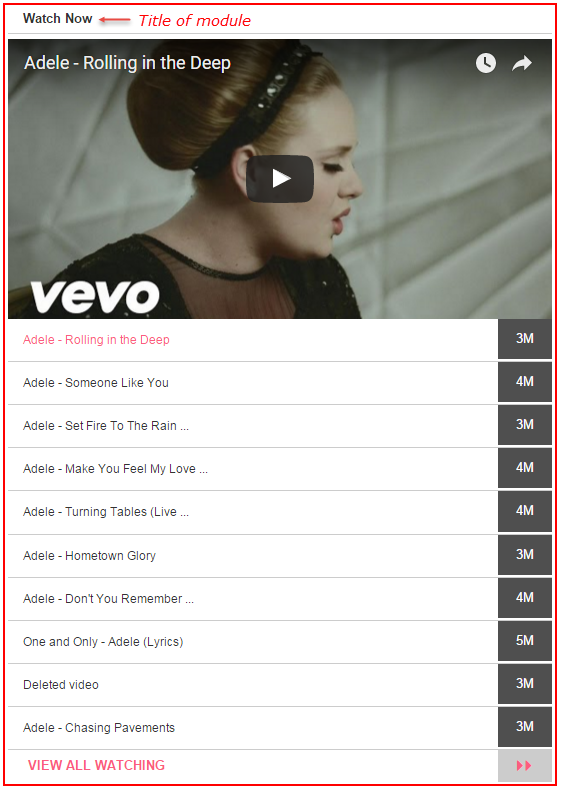 ID Video list – The ID Video list of the youtube account. Max Results – Allow to set max results of the item. Border Width – Allow to set border width of the module. Border Color – Allow to set border color of the module. Manager Intro Text – The content to show at the top of module. 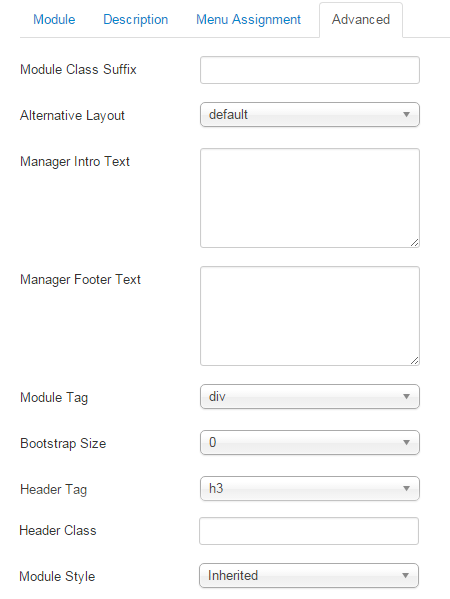 Manager Footer Text – The content to show at the end of module.